Since 1919, National Assistance League® has grown to more than 129 chapters across the country. Assistance League Antelope Valley was chartered as the 25th chapter on January 29, 1959. The charter members, led by Mrs. Florence Aven as president, identified a need for childcare in this growing valley. The new chapter established a Day Nursery, which eventually grew to a Preschool Day Care Center that served as many as 72 children and their working or student parents. In the 1960s, the local chapter began establishing events to raise funds for the organization’s community service programs and projects. Those events and their “descendants” carry on today, in the form of the annual Assistance League Antelope Valley golf tournament fundraiser, “Tee Off Fore Kids,” as well as the Designer Showcase Fashion Show. As the community’s needs have evolved and changed, so have the priorities of Assistance League Antelope Valley. The organization’s emphasis has shifted from providing day care to other programs that help local children and adults in need. Ongoing programs include: Operation School Bell, Assistance League’s signature national philanthropic program that provides needed products to students; Assistance League of Antelope Valley Community Needs Program which serves community needs; Assistance League of Antelope Valley Education Program, Assistance League’s scholarship program for students; and the Assistance League of Antelope Valley One and Done Program, projects designed to serve the community with a quick turn-around. 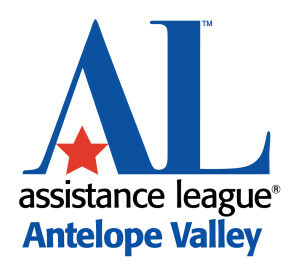 Assistance League Antelope Valley is proud of its members and their dedication to making a positive difference in the lives of Antelope Valley Families. If you would like to join us in these efforts, please contact us today for information on how to become a member.